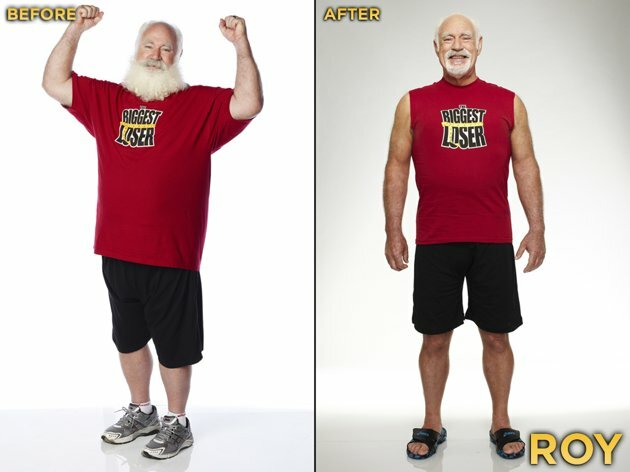 Biggest Loser Season 13 Finale Results Recap – See who won! The eliminated contestant come out in the order in which they were eliminated. First up is Ben & Mike. They both look great, but Mike is really looking good! Very handsome! Lauren & Gail: Lauren is such a cutie! Nancy & Adrian: Nancy is so adorable.. grandmother of 65 children. Adrian looks so confident and cool. Roy & Daphne: Roy shaved his beard down!! He looks so different and younger! No longer looks like Santa. It’s awesome. Daphne is looking hot too! Chism & Cassandra: Awwww Chism is adorable! He looks so much more matured and like a real man. Cassandra’s now blonde and freaking adorable!! And got a tattoo on her arm! Megan & Chris: Look pretty much the same as when the show left them, but they’re looking good. Now it’s weigh in time for $100,000 to the eliminated person who lost the most. 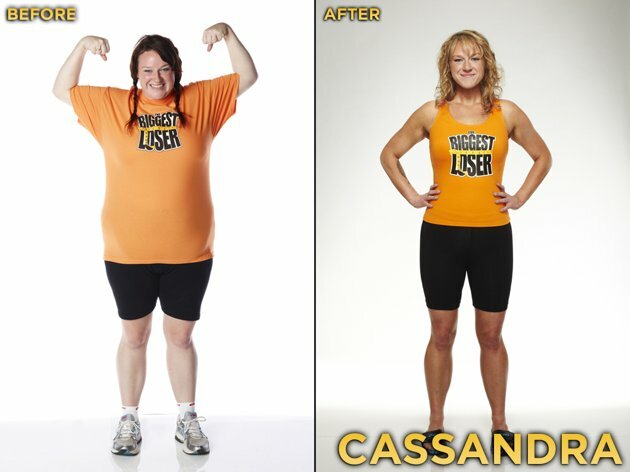 Cassandra: lost 92 lbs for 38.49% the new leader so far! Adrian: 108 lbs for 29.19% Cassandra’s still in the lead! Lauren: lost 89 lbs for 36.18% just missed it by a few pounds! Just down to Emily and Mike. I have a feeling Mike will be it. He just looks sooooo good! Mike: lost 160 lbs!!! for a total of 44.69%!!! Mike is the at home winner!! Conda: Looks good! Looks pretty much like how she left the ranch, maybe a few more pounds lost. Jeremy: Wow!! He looks awesome in his suit. He really lost a lot more after the life on the ranch. He looks smaller than Conda does! Kim: She looked amazing when she left the ranch and she looks even better now. She’s in a tight, black shimmery dress and is a complete knock out! Kim won a $30,000 gym for her community for winning Michelle Obama’s challenge of who could get the most people signed up. Jeremy (Conda’s brother) is next: He weighs 190, he lost 199 lbs!!! for 51.16%! Kim is the last to weigh in: she weighs 134 lbs, lost 118 lbs for 46.83%. I think she realized after Jeremy weighed in that she didn’t win. She looked a little bit defeated but as she said, “I think we’re both winners.” That is absolutely true! She looks phenomenal. 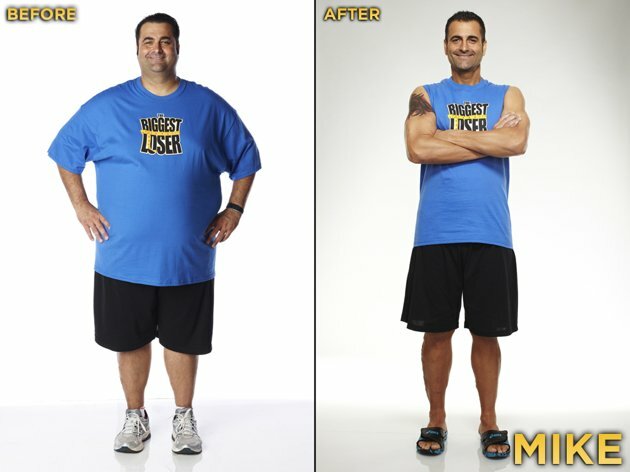 Jeremy is the winner of Biggest Loser 13!!!! Posted by amandatalkstv on May 1, 2012 in Biggest Loser Season 13 and tagged Adrian, At home winner, Ben, Biggest Loser, Biggest Loser winner, BL13, Cassandra, Chism, Chris, Conda, Daphne, Emily, finale, Gail, Jeremy, Kim, Kimmie, Lauren, Megan, Mike, Nancy, Roy.